Let’s face it, most convertible notebooks, otherwise 2-in-1 notebooks, are bulky and heavy. If we were to name a serious contender to Lenovo’s Yoga Book, then the ASUS ZenBook Flip S is going to be one. 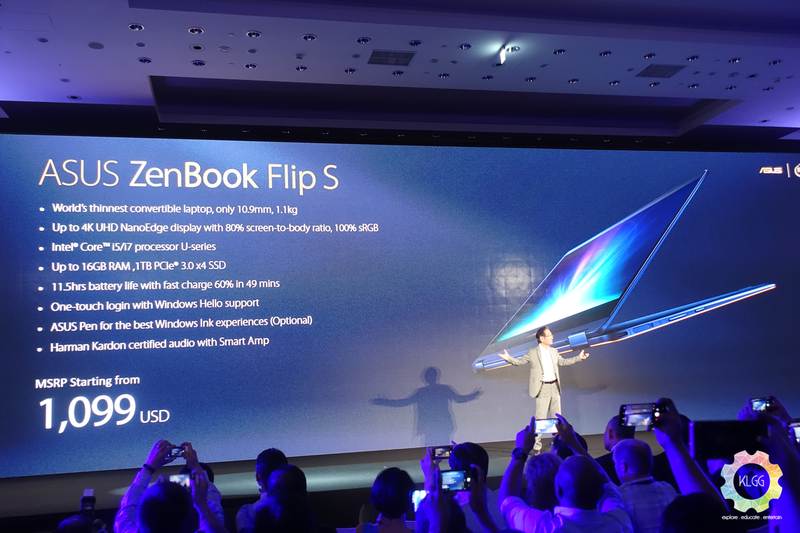 Built with an all aerospace-grade 6013 aluminum unibody, the ZenBook Flip S measures 10.9mm thin and weighs only 1.1kg with a 13.3-inch display, most interestingly, you will also have the option to opt for a 4K UHD display on this device, a bit of an overkill but hey, who knows you might need it. 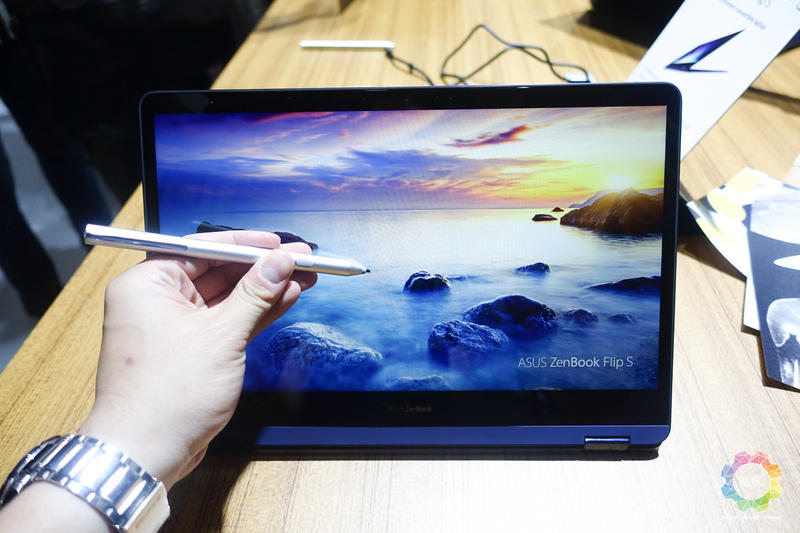 The notebook’s display supports an active stylus with 1024 levels of pressure such as the ASUS Pen, an accessory that is sold separately. 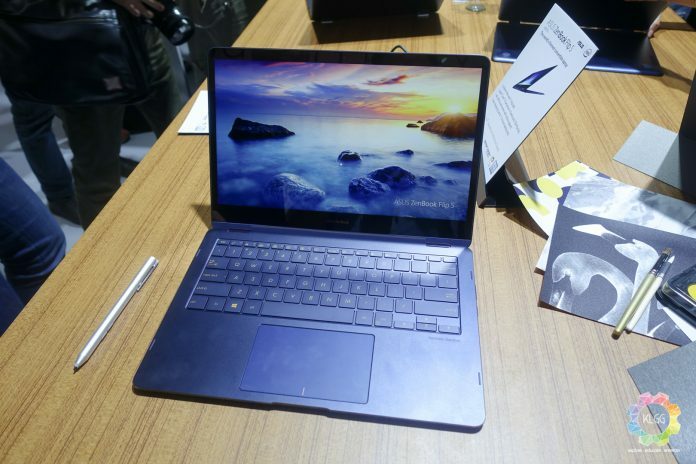 Like the ZenBook 3 Deluxe, the ZenBook Flip S is no slow machine as it will come with either a 7th Gen Intel Core i5 or i7 U series processor, it will also support up to 16GB of LPDDR3 2133MHz RAM and up to 1TB of PCI-E SSD. The notebook has a pretty impressive battery life of up to 11.5 hours, and it supports fast charging which you can expect 60% of juice in a mere 49 minutes. The ZenBook Flip S also supports Windows Hello with a built-in fingerprint sensor on the glass trackpad, which uses Windows Precision Technology drivers. The ASUS ZenBook Flip S will be available later this year with color options of Smokey Grey and Royal Blue, prices start from US$1,099 (RM4,691) onwards.